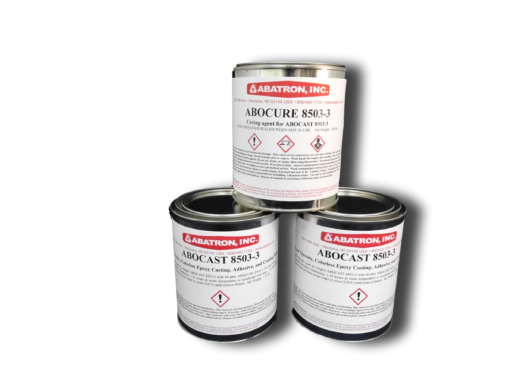 Abocast 8503-3™ | Abatron, Inc. Recommended for precise reproductions, decoupage, embedding, and table tops. Abocast 8503-3 produces a very hard, strong casting in about 1-10 hours at room temperature, depending on the size of the casting. It is without the high shrinkage of acrylic or other clear resins. 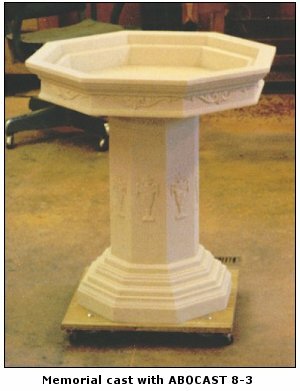 Castings are bubble-free and virtually shrink-free.